"Do It Yourself” has become the motto for many of today's entrepreneurs. Technology has expanded the horizon and the Internet has opened up the world, especially within music. This is the philosophy that Brit pop-rock band Minibar believes in, and on their sophomore record, Fly Below The Radar (Foodchain Records), they prove that it doesn't take a major label to make first-rate music. They recently received a nomination in the Best New Artist category for the LA Weekly Music Awards 2003, which will take place June 26. And they're so lauded by tastemaker national public radio station KCRW, that the station is hosting Minibar's record release launch party this month. 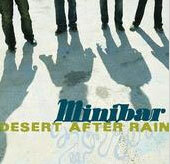 Minibar's follow-up to their critically acclaimed 2001 debut, Road Movies (Universal Records), continues with their musical blend of pop-rock and alt-country, with charming three-part harmonies and confessional lyrics. It's the enticing music that won singer-songwriter Pete Yorn over as a loyal advocate of the band and persuaded Grammy Award-winning producer T Bone Burnett into producing their first record. Prior to Fly Below The Radar's release, Minibar's singer and primary songwriter Simon Petty spoke with VirginMegaMagazine about the band's new record and the journey the band has taken over last two years between their major label debut and their latest exceptional record. This energy mixed with their passion for music, inspired Petty along with his bandmates Sid Jordan (bass), Tim Walker (guitar) and Malcolm Cross (drums) to make an emotive record. From the melodic beauty of “Unstoppable” to the swooning pedal steel sound of “Martha,” Minibar explores the roots-rock soundscape with their unique alt-country twist. This second record also holds the same in-depth, exploratory lyrics. As Petty is the main songwriter in the band, he explains where the lyrics come from. “I try and write honestly about how I feel and that in itself is very complicated. I actually express my emotions and feelings better through writing songs then I do through saying things.” He continues, “Whatever I'm trying to say comes from how I actually really feel about things and it's usually done in metaphorical terms.” Lyrically, the record as a whole is about “trying to define what's of value and where we are,” as Petty says, which makes for an intriguing album. Minibar's Fly Below The Radar is in stores now but you can get it immediately by Clicking Here. ©2003 Virgin Entertainment Group, Inc.